Symbaloo is a bookmarking or link sharing site. With Symbaloo, teachers can curate and share resources with their students. Links are laid out in a grid, and can be arranged within the grid. In this example, the links are grouped into categories. In the upper left, there are links to social sites, and in the upper right, links to shopping sites. Link sharing with Symbaloo is self-explained on this Symbaloo page. Symbaloo could be good for when teachers have a bank of resources they want to share with students. There are many ways to do this, but Symbaloo could be a good option for visual learners who need to see everything laid out in front of them. This could be useful in the younger grades when teachers want to give students the sites to visit for a project instead of having them go searching. It could also be interesting to use Symbaloo as a formative assessment to see what students know about a subject. Symbaloo also offers browser extensions to add your bookmarks directly to your Symbaloo page. 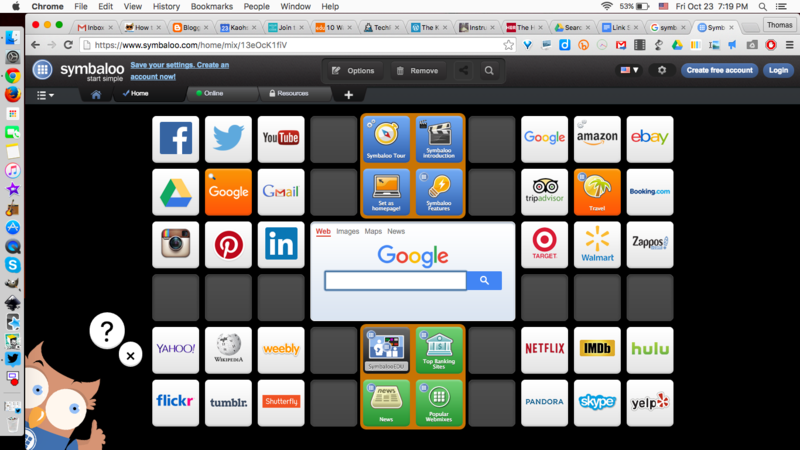 This is Symbaloo Bookmarker for Chrome. Note: For a complete walkthrough of Symbaloo, access the Knowledge Base file “SymbalooHandout.pdf”. Yeni Toribio gets this week’s this of the hat for using Socrative in her classes. Yeni is investigating various types of formative assessments in her class and tried out this very impressive web app. 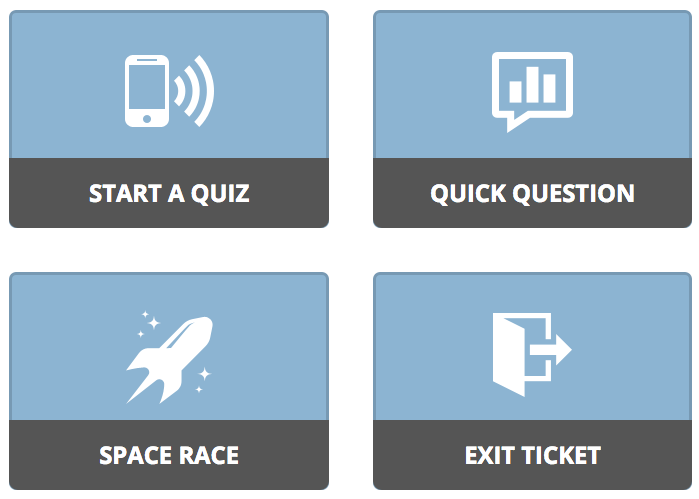 Socrative enables you to get real time answers from your students during class. Students only need a room code (no account necessary) to start answering the teachers questions. I witnessed Socrative during a workshop where the presenter used the tool to gather questions from the participants. She then had us rank our top questions to answer them in the most relevant order. Watch this video to get some insight on what can be done with Socrative. We’ll be sure to review this amazing tool in more details in the future.